First, i am going to explain what Apple’s GSX tool is. You can find it on the official site at gsx.apple.com. The GSX account from apple let you do numerous network unlocks, also offer icloud activation removal if it’s not reported lost or stolen. but if it is you need fist unlock blacklist iPhone, and then icloud id unlocks or remove icloud. But to get this caind of utilities you need to work on apple or have a partnership. This system is available to restrict groups of users. For example, you can use it if you are a mobile service provider and need to order devices parts or process repairs. But you cannot access it if you are just an apple user. There is no way for you to unlock iPhone with GSX if you are not one of admin authorized service providers working in partnership with Apple. In other words, if you don’t have a GSX account you are not eligible to get unlock for your iPhone. But, there is a way to get such an account if you become friends with iPhone carriers or repair shops that already have one. HOW TO UNLOCK IPHONE FOR SURE ? I believe the only way to unlock iPhone with 100% guarantee is to use GSX Imei services icloud unlock tool. It works for all idevices models, iOS versions, base bands, etc. It is also good for a big variety of networks all around the world. This method is completely online. with 99% success if is a legit apple worker will truly unlocks all iPhone 4, 5, 6, ipads, ipods. This service can cost you , in general Apple also charge to let you do this. whats why if its 3º person doing it will cost more 100$ for the service. For sure if you go directly to apple services they will not help you without proof you are the real owner of your device. BUT if you have an regular GSX account you can also check for free od charge from apple the original icloud-ID and thats why is there many icloud bypass IMEI unlocks are working. How ? You know the iCloud removal can cost 150$ as an example. Too much right? The real price with this mounting scheme is 0$ whats why there are many out there. but its not 100% guaranty. – You send money to the imei service provider. – After payment, through an illegal, hacked, apple friend GSX account, they do a check of the owner who contains the email address, name, icloud ID. With this informations, they do an Apple invoice for your iDevice. They send this invoice to Apple for unlocking. your device is unlocked! Cost for you: 150$, the cost for vendor nothing, zero. 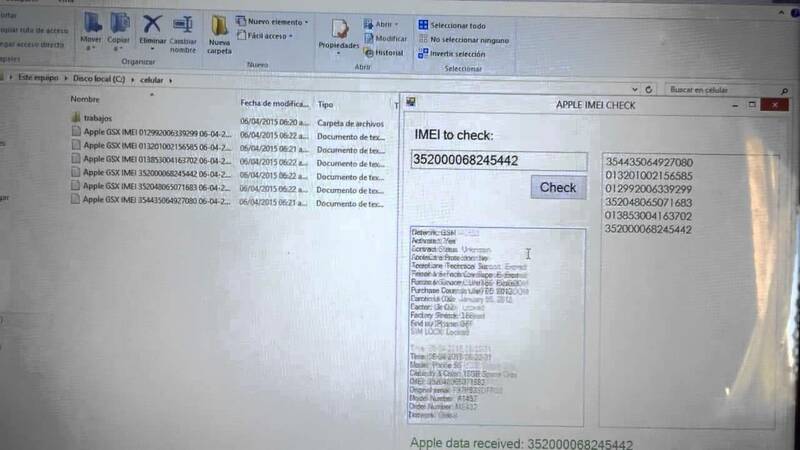 – Another method is after get icloud id they send a fake apple email (called phishing) saying Ex: ” FMI just fond your device, please connect to your icloud to track the iphone “. The original owner thinks its true SMS or Email and access to icloud. Remotely you receive the password, that’s it unlock or remove FMI.